We believe that homework and extended learning, beyond the classroom is extremely important for all of our students. 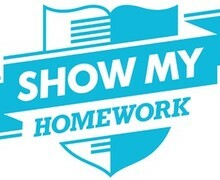 We set regular homework for all students in all year groups for all subjects. At Key Stage 3 (years 7, 8 and 9) our minimum expectation is that students will be set regular weekly homework in English, Maths and Science, and fortnightly homework for all other subjects. At Key Stage 4 (years 10 and 11) our minimum expectation is that students will be set regular weekly homework in all subjects. In year 11 students should also be spending a sufficient amount of time revising for their exams in addition to any homework they are expected to complete. All homework will be set and published on Show My Homework. All students have an individual password for the website to help them to be organised and complete tasks on time. Any extra resources and support from the class teacher will be available here too. Parents can have a pin for this website too to stay in touch with what your child has to do.